Beautiful Hervey Bay, three hours north of Brisbane on Queensland's Fraser Coast, is famous as our top whale-watching destination. From July to November, this laidback coastal town buzzes with energy as tourists come from all over to see humpback whales up close and personal in the calm waters off Fraser Island. But if you've already seen the whales, or you're visiting out of season, you'll want something else to do to make the most of the Great Sandy Strait, the beautiful waters between the mainland and Fraser Island. So what else is there than whales? 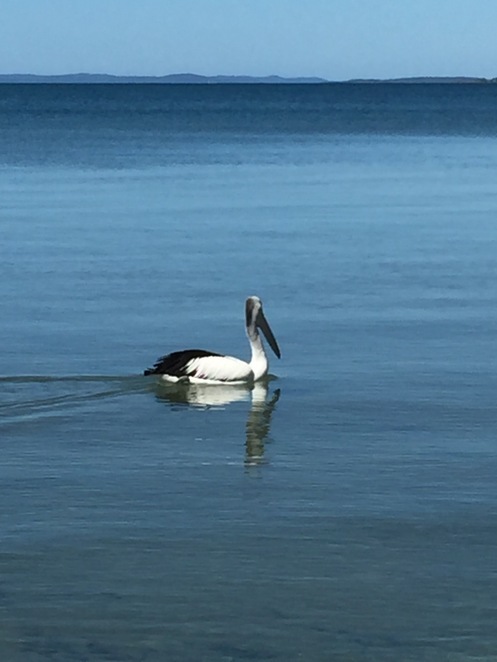 There's Hervey Bay Eco Marine Tours. In the glass-bottomed Milbi (meaning 'sea turtle' in the local Butchulla language), Wil and Jacqui Hikuwai can take you on a variety of marine adventures in the Great Sandy Marine Park, where you might encounter dugongs, turtles, dolphins, fish and seabirds, along with warm hospitality and scrummy food! And not being dependent on whale season, Milbi sails throughout the year. 'Milbi Sunset', available on selected evenings to watch the sunset from Round Island with a glass of bubbly and yummy canapes. We chose the 'Milbi Sunset' tour during our visit to the Fraser Coast, and loved chatting with other guests while enjoying pre-dinners on the beautiful waterways. As a special treat, Butchulla elder Conway joined us on board to share some cultural insights and gave a wonderful didgeridoo performance on the island as the sun set behind Hervey Bay in the background. The Butchulla people are the traditional owners of K'gari (Fraser Island) and were granted native title rights in 2014. It was a privilege to learn more about them and the cultural importance of the Fraser Coast area. 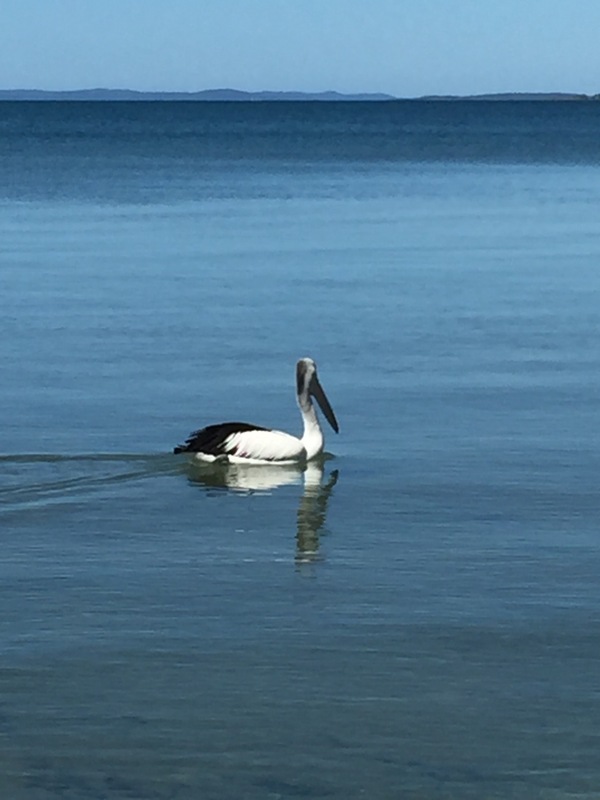 The culture and spirit of the Butchulla people are woven into all the Milbi's activities, along with Jacqui and Wil's passion for the Hervey Bay area and the ecology of its marine life. The Hikuwais first put Milbi into the water in March this year, wanting to share their passion with others in a sustainable way. The 'boat' is a custom-designed 12-metre vessel with clear glass panels—called 'moon pools'—through which guests can view the amazing environment of the Great Sandy Strait. It's the only glass-bottom boat in the Hervey Bay fleet, and although Milbi can take 38 passengers, tours operate with smaller numbers to allow for personalised service and a friendly atmosphere. 'We're all family for the day out there on the water,' says Jacqui. And I can vouch for the personalised service – Jacqui readily accommodated our dietary needs at just one day's notice and kept a caring eye out for signs of seasickness (but the straits are so calm, there was no need to worry). Wil and Jacqui's paths first crossed about 20 years ago while working for a whale watch company, but life took them on separate journeys until recently. 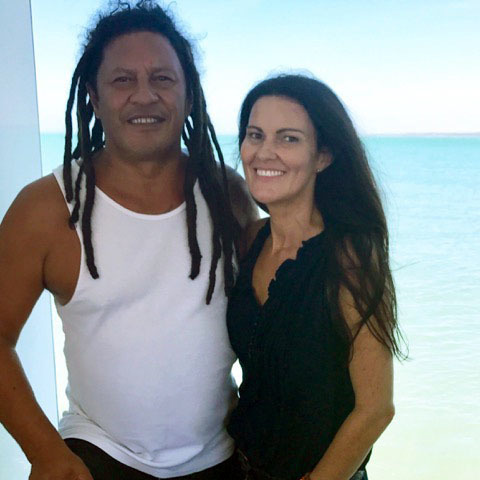 Wil skippered fishing trawlers in New Zealand for over 14 years, but the couple are now firmly settled back in Hervey Bay with their blended family of four. That love of the water, the marine ecology, and the local area and people, along with Wil and Jacqui's own warm and friendly personalities make a Milbi tour something special. Quite naturally there were spontaneous farewell hugs when we disembarked! 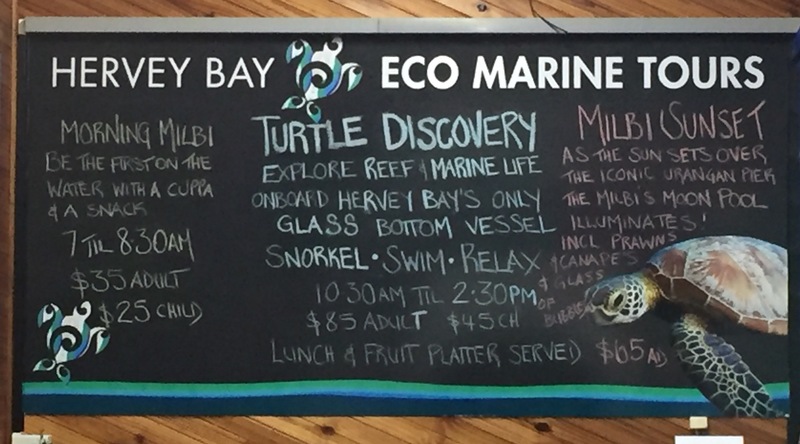 Whether you're there to see the whales or visiting the Fraser Coast out of season, I'd happily recommend calling into the marina and chatting over the options at Hervey Bay Eco Marine Tours. Great article, ell! Welcome to WEN!